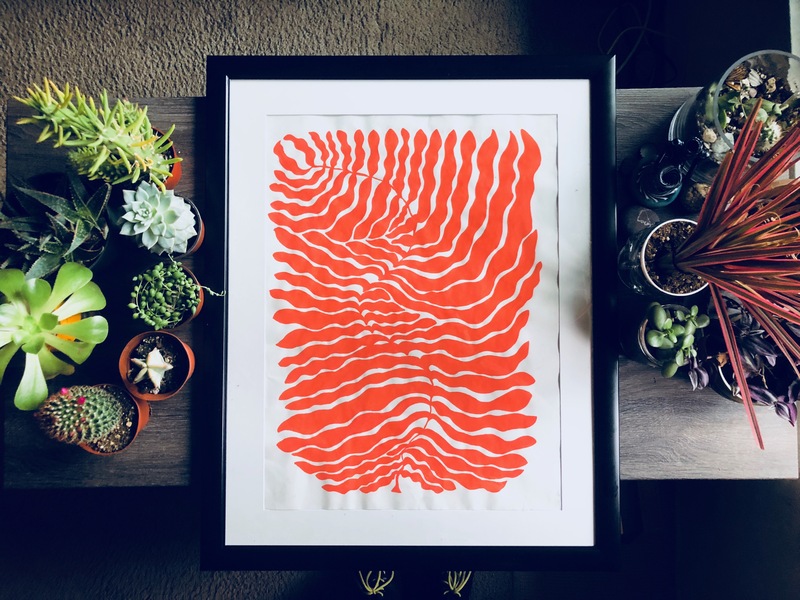 This was my very first packaging project. 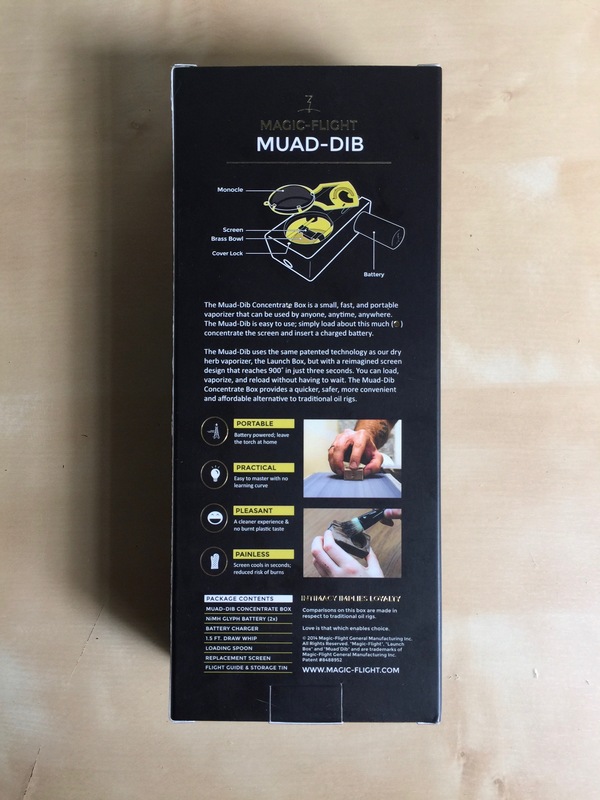 In the spring of 2014 I worked with Magic-Flight to design packaging for their new product. 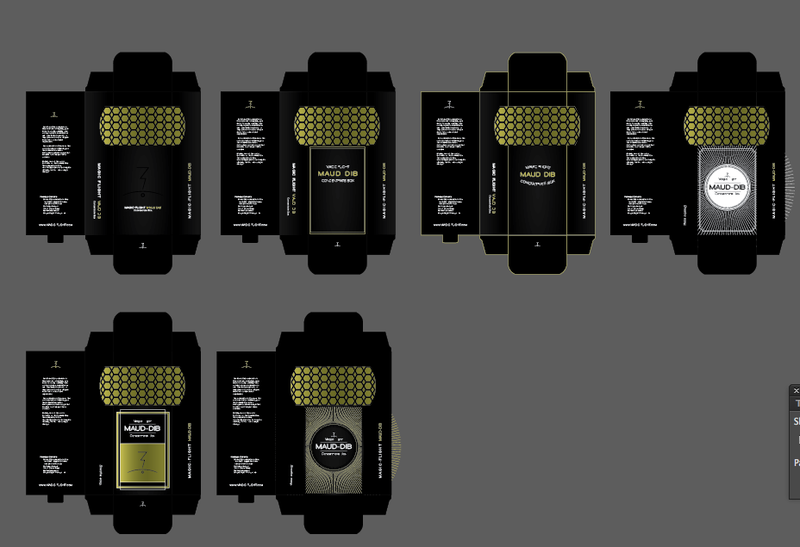 The design on the front of the package reverberates the monocle glass face of the vaporizer. 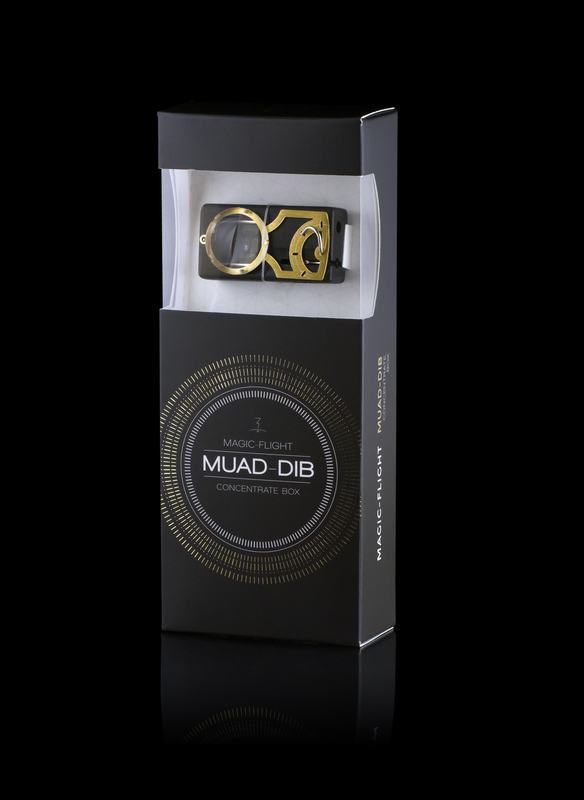 My goal was to compartmentalize the Muad-Dib's value into bite size chunks for the consumer to see what sets it apart from other products on the market. 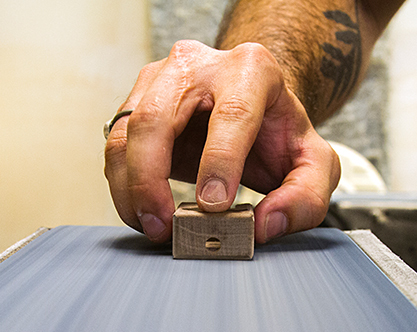 This is me performing the "Corner Knocking" on a Muad-Dib– one of the 40ish steps in the manufacturing process of crafting these wooden vaporizers. It's the most difficult step of the process and a true measure of craftsmanship. Not to mention it's the scariest. My fingers float only half a millimeter from the rotating belt sander as I roll the wood block around its edges in order to round them. 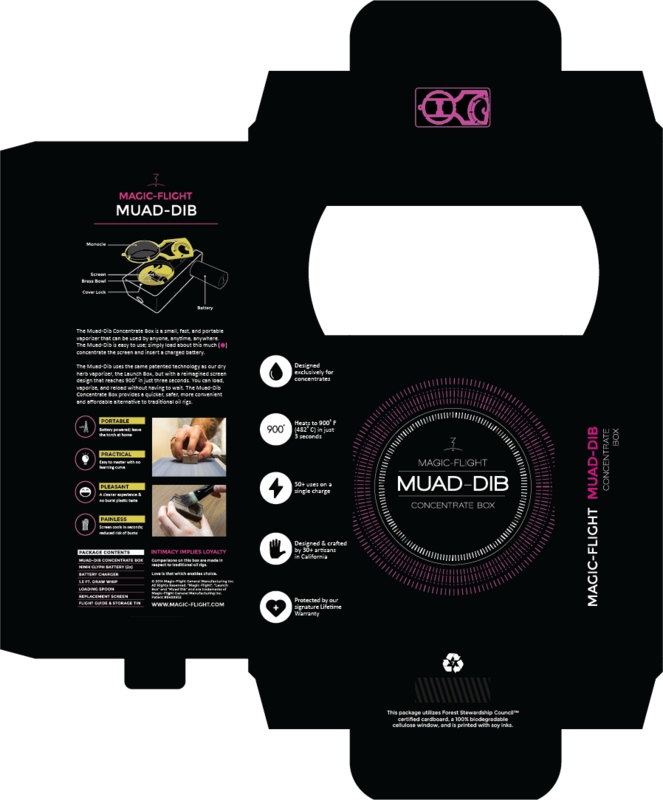 This photo is featured on the back of the packaging which you can see below.